Pouch Size: Length : 80mm to 320mm Appx. Width : 25mm to 120mm Appx. With sincerity and dedication of our skilled procuring agents, we have carved a niche for ourselves in this industry by providing Flow Wrap Machine. 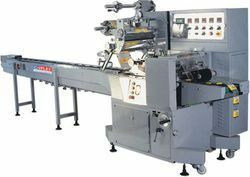 Our presented series of Flow Wrap Machine is enormously demanded in the market for their long-lasting nature and superior finish. 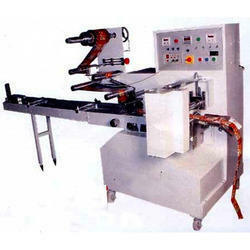 High speed form fill seal machines & flow wrap machines.